What I especially liked about this recipe is that it wasn't greasy. Some recipes I've tried in the past leave this greasy film which isn't too appetizing. However, this one had a perfect balance of flavors, seasonings and the texture was spot on - not too loose or too thick, just right. If you wanted some additional variation, try mixing in some shredded chicken, shrimp or even crabmeat to the dip just before baking. 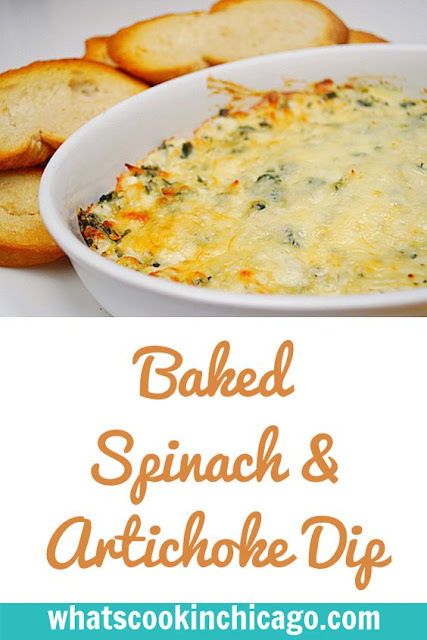 I've tried this with crabmeat and it was excellent! 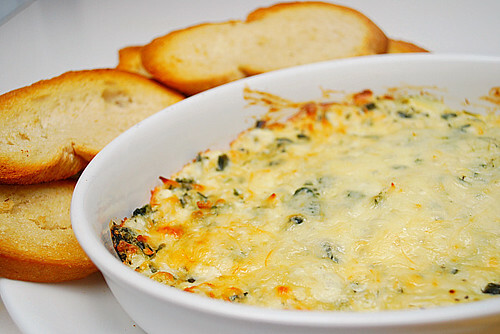 In a medium bowl, mix together cream cheese, mayonnaise, Italian cheese blend, garlic, basil, garlic powder, salt and pepper. Gently stir in artichoke hearts and spinach. That is my kind of dip! Looks fabulous! That looks delicious and the ingredients are really simple and easy to find. I'll be bookmarking this for parties! Looks divine! Can't wait to make this at my next party! Looks great. I love spinach and artichoke dip! I think you'd be invited to a lot of parties if you promised to bring this one each time.